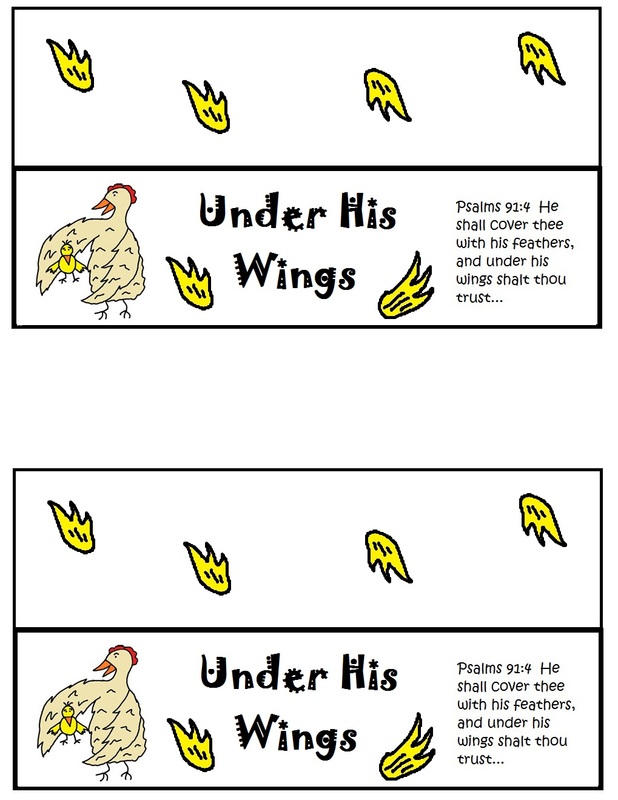 Print the Under His Wings template out. Cut them out. Run it through a laminator. We got ours from Walmart and it works great. Take your sandwich bag and fill it up with your wavy potato chips. Take the template and fold it over the sandwich baggy. Staple on right and left side. Hand out to the kids for a snack. The wavy potato chips are suppose to look like wings. You can teach the kids a lesson on how the Lord protects us just like the momma hen protects her baby chicks by going under the her wings. The Lord will cover us with his feathers and as long as we abide under his wings we will be able to trust him. You can make this Under His Wings Feather Craft to go with it.